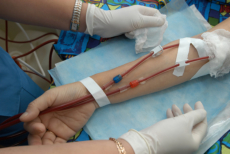 At WellPoint Home Health, Inc., we have a staff who are experts in administering sophisticated IV infusion services. Feel at ease with the knowledge that you are in the most capable hands of our dedicated staff who will work closely with your physician, pharmacist and family to coordinate your care. For concerns and questions or to start your home care, please dial us at (773) 253-9190.